Born in Capri, Italy, Josephine (Pina) Templeton attended Fordham University and the University of Rome Medical School. She completed residencies at the Medical College of Virginia and the University of Pennsylvania. In 1977, Pina began a private practice in pediatric anesthesia at The Children’s Hospital of Philadelphia and was appointed to the faculty of the University of Pennsylvania. Pina retired from the active practice of medicine in 1999. She is involved in many philanthropic activities and presently serves as a trustee of the John Templeton Foundation and Templeton Press. Pina is a board member of the American Revolution Museum and is a member of several committees at the Union League of Philadelphia. Pina was honored by The Salvation Army in 2005, and was awarded, together with her husband John M. Templeton, Jr., M.D., the 2006 Heroes of Liberty Award by the National Liberty Museum and the 2012 Crystal Award from the Union League of Philadelphia. Hi this is Greg! Im so glad you can all join us at BetterWorldians Radio. Let me tell you about Ray. He is a serial entrepreneur, who successfully founded and with MarySue took public a national marketing firm. Giving back has always been important to Dad, who supports many causes, especially disadvantaged children and their families. By the way we are the family team that created the popular social game on Facebook called A Better World. It rewards players for doing good deeds while helping to raise money and awareness for charities. To date, over 22 million good deeds have been done in A Better World by more than 2 and a half million people. And in the month of August, we're supporting The Jed Foundations Love is Louder for anyone feeling mistreated or alone. When our players complete 500,000 good deeds, well release funds to support six Love is Louder clubs or events. On this weeks episode of BetterWorldians Radio we are discussing Unlimited Love: The Legacy of Sir John Templeton. As a pioneer in both financial investment and philanthropy, the late Sir John Templeton spent a lifetime encouraging open-mindedness. Templeton started his Wall Street career in 1938 and went on to create some of the world's most successful international investment funds. But John Templeton's interests were never confined to the merely financial. An unfailing optimist, a believer in progress, and a relentless questioner and contrarian, he devoted the second half of his long life to promoting the discovery of what he called "new spiritual information." Joining us today to discuss Sir Johns life and legacy is his daughter in law Dr. Josephine Templeton and his friend Dr. Stephen Post. Well talk with Stephen in a bit, but first, let me tell you a bit about Dr. Templeton. Born in Capri, Italy, Josephine Pina Templeton attended Fordham University and the University of Rome Medical School. She completed residencies at the Medical College of Virginia and the University of Pennsylvania. In 1977, Pina began a private practice in pediatric anesthesia at The Children's Hospital of Philadelphia and was appointed to the faculty of the University of Pennsylvania. Pina retired from the active practice of medicine in 1999. She is involved in many philanthropic activities and presently serves as a trustee of the John Templeton Foundation and Templeton Press. Pina is a board member of the American Revolution Museum and is a member of several committees at the Union League of Philadelphia. Pina was honored by The Salvation Army in 2005, and was awarded, together with her husband Dr. John Templeton, Jr., the 2006 Heroes of Liberty Award by the National Liberty Museum and the 2012 Crystal Award from the Union League of Philadelphia. And now lets welcome Pina Templeton and MarySue. Hi Pina. Its so great to have you with us today on BetterWorldians Radio. Thank you so much for joining us. Well thank you MarySue this is exciting. I think Sir John is a very special person and he was very special in my life so I am happy to present him to you in any way you wish or in any way that would enhance what he really meant to the world. That would be great; can you tell our listeners about Sir John Templeton? I thought about that, there are many adjectives that one could use about Sir John but I think the best adjective is that he was a humble man. He was humble in many ways, he knew who he was which I think is a true sign of humility and he was open to everyones ideas. That's what he meant by humility, it wasn't sort of a mea culpa, mea culpa, but being open; that your ideas were just as important as his. And I think that this had a lot to do with his mother and how he was raised but especially by his mom. But he was the son of a very ethical lawyer in a small town in Tennessee where he was born. His fathers name was Harvey Maxwell Templeton and I think the principles that always guided Sir John came from the two parents. Because of that I think he was very well aware that he was a steward. And that word steward was very important to him. He was a stewards of his talents and he was also a steward of his wealth which for him, it was given to him by God so he spent as much time in taking care of the investment for his clients and investors as he did in everything else for his life. The way he took care of his children and the losses that he had to endure in this life. As you probably know he lost his first wife very early on when his eldest son was only 9. And it was the first vacation that he had taken after starting his company and his wife died because of a moped injury and what we think was an epidural hematoma. He had to come home and tell his children that mommy was not coming home; very difficult for him but in all these things Papa always found strength and he looked towards the future. You may also know that one of the symbols that he really loved was the nautilus. And I always wonder and I wished I had asked him exactly what he liked about the nautilus but I think it was how the nautilus is born small but he grows and grows and as the septa, and as he grows there are new chambers that are formed and he moves into the new chamber. Papa was always looking forward. So those are some of the aspects of Sir John. Everyone knows him as the great investor, which is true, the great philanthropist, which is also true but he was also a human being so what he considered many of his faults, although I did not see them but he would always tell us that he was human and made mistakes. Well that's a lovely depiction. Pina you are the daughter-in-law of Sir John, but you write that he referred to you as his daughter and he certainly treated you that way. Tell us about that. It was very confusing, he would often introduce me as his daughter and I would say Papa I am your daughter-in-law. I think he, it was interesting, because in Stephens book I talk about that. Jack and I first met when I was an intern and Jack was a junior resident and we were intellectual friends at first because I was going to go back to Italy and practice medicine in Italy. But as we became much more interested in each other and then Jack pierced my ears, ears that I wanted them pierced but my father said no, so I didn't get them pierced to respect him and so Jack pierced them for me and then we got married after that. He introduced me, basically, he told his dad about me and his father said, well son Ive been listening to you but let me ask you a few questions about this girl. Is she thrifty, first of all? And is she religious? And do you love her? In that series. So thrift was very important to him, which was easy for me to be thrifty since we didn't have any money in the beginning and we didn't have time to spend it because internship is kind of hard. But I was worried about meeting him because I was raised Catholic and they were good protestants. I was born in Italy and they were two American's so I didn't know what to expect but Papa's family, even his extended family was extremely welcoming. And so was he. Once I met him he was, I wish you could have been there but, he was so extremely kind. And first of all he took me for a trip around Nassau because he was already living in Nassau at that point. And then we just talked for the rest of the day with his son. I was still nervous and certainly in awe of him but I was welcomed in this family. Although I used to tease him later on, I said, well Papa I think you studied me for a year, which I thought it was fine because I think it was very prudent to see, was I really in love with his son or was I something else? But then very shortly after that he would just refer to me as one of his children or one of his daughters. As a matter of fact we were in England and he introduced me to Queen Elizabeth and said this is my daughter. Well I didn't correct him in front of the Queen but that is what happened. He's very special. Sir John Templeton was extremely successful as an investor. Can you tell us a little bit more about that? There is a book that is not as popular now called the "Templeton Touch". And there is an earlier addition that was printed in 1983 and then repackaged in 2012 which is a great repackaging of the same book. But in it William Proctor talks about the Midas touch, and Midas as a greedy person, whereas Templeton had a keen way to choose the right stocks. He would buy low and sell high. As a matter of fact if you invested $10,000 in 1954 in ten years it grew to over a million. I would have to check sadly on that; l would always show this graph. He also did not believe in borrowing money in order to invest. Although it is interesting to me, his first investment he borrowed money to invest in 1938. He bought 104 companies that were selling for less than a dollar. I believe that 34 of them were in bankruptcy but he made money on all of them except for four of those companies. That's not bad is it? But you know Proctor compared him to Midas but he says that where Midas was greedy John was not greedy. He was comfortable with his wealth. He didn't think it was bad to be wealthy but he felt that it was not his wealth it was wealth given to him by God; the ability to make this wealth and therefore he should be a good steward of it. And even in those early days he knew I think in his mind that eventually he was going to do something for humanity with this wealth, not only accumulate it. Yes, you know we read that Sir Johns deeper passions were the big questions in life. Can you share about that? Yes, I think in, the basis for the big questions, what he spoke of as spiritual progress, which in the beginning was hard to understand, but he felt that the world was very keen on progress and economy, technology but there was something deeper that was much more spiritual. And that understood better in a relationship with ultimate reality or some of us might call it God. And in the process he had a keen interest to do for humanity or to build a better life, to make his, at the time in his early years he would talk about his colleagues, that he saw a certain emptiness because they were only interested in the sort of material side of life and not the spiritual life And that is where I think his relationship with Stephen has its birth. Stephen could talk to you better about this. But Stephen and Papa would have very long and long conversations because they both saw that there was something much more important than what we see around us. That's great! Love was such an integral part of Sir Johns life. He even began meetings by telling everyone in attendance that he loved them. I thought that was fantastic! Can you talk about the role love played in Sir Johns life? Well, it was fundamental to his life. He really meant it when he said, I love you all. He saw every human being as the image of God. And therefore he loved his God so he had to love you; and he meant that. In a number of stories, Papa didn't believe so much in a handouts but he believed in the person itself. I can give you an example, we were in Vancouver and we met one of, a stockbroker that actually was involved in selling his growth fund. And he told me this amazing story where years before the stockbroker's wife had been diagnosed with breast cancer and eventually died and he was so despondent that he gave himself over to drink and he almost lost his children. But he went to a conference that Papa was the keynote speaker and after he went in line to speak to my father-in-law but time was running short but my father-in-law said, I don't have time now but tell me your room number and I'll come and see you tonight. And the man gave him his room number and went back to his room and it was 10:00 then 10:30, 11:30? And he said, well he's just like everybody else he is not coming. And then at midnight which is astounding to me because Papa used to go to sleep at 9:30 at night. He knocked on the door and they just spent three hours talking about their life and Papa was extremely interested in this man's life. He gave him no money, he just gave him advice and he was able to turn this person around. Well I think so because unless you love someone you are not able to do that. And I think that's where I really saw his great love. It is the same thing that, it's easy to see somebody's love where it is all family, but when you see it with strangers it is reminiscent to the true Good Samaritan. And that's why I think that was so integral. And again Stephen will be much more eloquent about this but that's how I saw it. Excuse me for interrupting but we need to take a short break right now and when we come back we will talk more with Dr. Stephen Post and my cohost Greg. In the meantime I would like to offer this challenge to our listeners. If you know someone whose acts, no matter how small, are making a difference in the lives of other people we'd love to hear about them. Send us an email at BetterWorldians.com. We'll be right back! Hi, youre listening to BetterWorldians Radio. Were talking about Unlimited Love: The Legacy of Sir John Templeton. 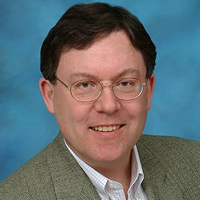 Joining us now is Dr. Stephen Post, the author of Is Ultimate Reality Unlimited Love? Dr. Post is the bestselling author of The Hidden Gifts of Helping. He speaks widely on themes of benevolent love and compassionate care at the interface of science, health, spirituality, and philanthropy. His work has been featured in periodicals such as Parade Magazine and O: The Oprah Magazine, and on such media venues as The Daily Show, John Stossel, 20/20 and Nightline. He has addressed the U.S. Congress on volunteerism and public health. In 2001 he founded the Institute for Research on Unlimited Love, named by Sir John Templeton, who personally selected Stephen Post as its President. The Institute is a freestanding nonprofit that researches and distributes knowledge on selfless love. Hey Stephen, this is Greg. Great! Thank you for joining us again here on BetterWorldians. So I wanted to ask you, how did you first meet Sir John and what were your first impressions? I met Sir John in a golf resort in Virginia not too far from Dulles Airport. He was sitting in the lobby and my friend David Larson, a psychiatrist, said why don't you go over and talk to Sir John. I walked over, I sat down, I introduced myself and he asked me what interested me the most. I said, well I am really interested in agape love, divine love. He said, well so am I and we just started talking and went on for about at least an hour and a half and struck up a nice report. Actually I had seen him way back when at a distance in 1980 when he was at the University of Chicago and the Lutheran School of Divinity giving the Templeton Prize to a theologian by the name of Ralph Berhow. We're going to jump into talking about unlimited love and agape. 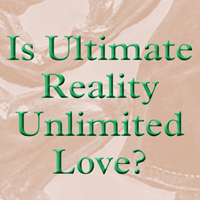 I want to talk about your book: Is Ultimate Reality Unlimited Love? Actually I wanted to say first that I thought the book was a real accomplishment Stephen. As an erstwhile intellectual myself, the number of disciplines and research you had to investigate and synthesis was staggering to me. Well thank you Greg, that is nice coming from you especially. Thank you. So I know that Sir John asked you to write this book. What did that mean to you? Well it meant a lot. The request came through his incredibly and diligent and loyal son, Jack Templeton who was the President of the Templeton Foundation. When Sir John passed away which was in late June of 2008, evidently a couple of weeks before that he had spoken with his son Jack about a book that he would really like to have time to write but time was short. He did give it a title. Ultimate Reality, Unlimited Love? Thank heavens for the question mark. I heard about it from Jack. I kind of put it aside though for a few years because I was starting this program at Stoneybrook, I was really busy, we'd all just moved from Cleveland. But one day three years ago I was driving down Route 80 in early morning, got through the Delaware water gap and I just had an inspiration, you know I am going to call Jack and I am going to say, Jack I want to try to write that book. But I pulled over first Greg, you know why? Because Jack's a pediatric trauma surgeon and if he caught me on a cell phone talking on the highway, he'd have a fit. So I pulled over, and I gave him a call and I said I would do it and we were on. But I had ambivalence because I really believe that John Templeton was a spiritual genius and I don't think I can do him justice but I did my best. Well, I thought it was an incredible book and I am looking forward to jumping into it now. So, I think first tell us a little about that title, Is Ultimate Reality Unlimited Love? Which might sound a little confusing and I thought we could start with an easy question. Which is: what is ultimate reality Stephen? Ha Ha! Well that's a great question, why don't we stop here! You know Sir John liked the language of ultimate reality. He really rejected silly anthropomophic views of God. You know, God looks like a gray haired old man up on a cloud. He was very sophisticated in how he thought about God. Very influenced, incidentally, by the mystics. The idea of a ground of being of some kind of matrix of energy and love that sustains all the material and energy in this entire universe. It's a very Christian idea in many respects but it also had influences that came to him through the Unity School of Christianity which was inspired in part by the New England Transcendentalist, the people who were reading the Hindu Scriptures, the Vedic Scriptures early on. So, they had this language of ultimate reality but it really means infinite mind, divine mind, God, ground of being. It's Sir John's way of talking very meaningfully about a God that really underlies all that is in a constantly sustaining fashion. And then, what is Unlimited Love? What do you mean by that? What does Sir John mean by that? Well, pure unlimited love actually, Sir John was realistic about human love. He said that a lot of times human love is impure. You know we love someone today, we tell them we love them and tomorrow we are in a jealous rage and we do something hideous. Even our parents sometimes overindulge us unwisely and don't really bring out the best in us. Or our human love is very myopic; very limited; very near sited and we just love the nearest and the dearest and the people like us. And we even demonize the people who are not like us. We love some little fragment of humanity but we don't get to a shared humanity. And he also said that human love is not very reliable or enduring. It comes and goes. It doesnt have that kind of constancy that you'd expect in the love of the sun up above us. As Sir John often referred to the radiance of the sun. So human love is a pretty flawed enterprise. Pure, unlimited love really meant for Sir John the love of God. And there is a letter in the back of the book, the first one I believe, where he said, look I gave you all this money to find studies on love. I would like you to spend at least a third of every dollar, not on the mere love that, not on human love but the love that made humans. He would talk about the love that preceded the big bang. So you can see that he was always pushing me beyond any kind of easy comfort zone into areas that were really metaphysically challenging. And he even did that from the grave because when I was writing this book there were many time that I could just look up and I could see Sir John smiling at me saying, you know you still got to learn something kiddo. Then let me ask you what could we mean by this phrase, Ultimate Reality being Unlimited Love? Well, Ultimate Reality is this profound idea of an energy of divine love and creativity. Again, this is very much like in the Jewish and Christian traditions and the Islamic tradition. All of these have this notion of "In the beginning is consciousness" as one of the great Muslim Sufi theologian's put it; Seyyed Nasr, in the beginning was consciousness. Before there was matter, before there was anything tangible and material there was divine mind, divine creative love and in ways that we simply don't understand. That love is the source of everything that is. This is what Paul Telic the theologian meant when he talked about the ground of being. And it's what people who speak about seeing the light. It's this notion that somehow theres a deeper reality than we are ordinarily aware of and that that reality is essentially created of love. You know it's interesting that you are bringing up a lot of these different religious traditions. And in reading the book it was fascinating that, although Sir John was a Christian, he found these ideas present in all the worlds great religious and spiritual traditions. You talk about Judaism, Hinduism, Taoism, you mentioned the transcendentalist like Emerson a few minutes ago. Why were these influences so important to Sir John? Sir John, increasingly as he got older, he turned his attention to the religions of the world. He was always committed as a Christian; he was largely in the Presbyterian Tradition. He had written a book called Agape, a tradition in eight world religions I believe in 1999 but then he very explicitly wanted to say, we need a word that isnt so closely associated with Christianity. It might be offensive to many other traditions that also have something close to this ideal of pure unlimited love. And he wrote a little book actually of that title, Pure Unlimited Love. It was for him a way of breaking free of some of the more limiting languages that he thought wouldn't really embrace the whole world of monotheistic and also non-monotheistic faiths. So definitely he was influenced by so many great thinkers. He often times quoted the Hindu philosopher, Shankara who lived in the 1100's. Shankara was the one who invented that phrase, "Atman equals Brahman". That within our soul each of us has a little tiny drop of the ocean of divine consciousness that is eternal. And that's where the Hindu expression Namaste comes from, typical greeting that people use on the streets in India. It means I honor the divine in you as you honor the divine in me. So, Sir John was always talking about the image of God, he was talking about Atman equals Brahman, he was looking at these traditions that showed us that there was something about the human creature that could not be defined in materialist terms, that could not be reduced to cells and matter but rather there was something about us that was really unique, and really connected with God that we are capable of being inspired into love with experiencing God's love. Many people have had that experience of almost being invaded by this feeling of deep love for other individuals and it changed their lives. So, Sir John was very interested in the world religions so long as they were able to capture the most positive elements of spiritual progress and for him the most significant element of spiritual progress was always pure, unlimited love, even from when he was a kid. It's interesting that you bring up spiritual progress. I know that you write in the book that Sir John, "The pursuit of noble purpose allows us to grow, and life on earth is about growth. And I know that Sir John said that to be joyful in life, we need to know that there is a reason to be alive, that our lives matter, and that we have a purpose. So what do you believe Sir John believed that purpose to be? Sir John once said to me, the goal of the institute should be to greatly increase the awareness of God's love as ultimate reality and allow people to rejoice in it. The purpose of life per Sir John was creative love in freedom. He constantly speaks about creativity in love and if we abide in these strengths we're are like a surfer out at the beach. You know we use all our strength to live creatively to love our neighbor; we put all of our mind and heart into that and at a certain point the wave of God's energy just captures us and carries us forward and then, let me tell you, it's just a question of trying to stay on the board. Sir John believed in that and he felt absolutely that we are capable or tremendous love and he appreciated it greatly. I know that Sir John also wrote that Loves energy is a healing balm. I know you can talk a little bit about the healing power of Unlimited Love? You know Sir John, he said flat out to me many times, don't forget, love heals, mental illness, he said often. Boy is that ever true. Ive been working over the years with a therapeutic farm for people with schizophrenia, it's called Hope Well. You can get it online for your audiences. It is just hopewell.cc. It's in Mesopotamia, OH, not far from the Pennsylvania boarder. Its a love based, it's spiritually based, its community based, and everybody has gifts that they contribute to the community. Somebody takes care of the chicken coops, somebody bails the hay, they do circles of trust to create a kind of community amongst them and it has tremendous power in curing and in healing. It's the same idea that you see in a movie like Russell Crow who is, the one about the Princeton professor who has schizophrenia. Yeah, this idea that if youre in a stable environment with the right emotional support and youre doing things the help the people around you, that can be valuable. So he believed very much that love can heal. And he also believed that if love can heal our emotions then because emotions affect our bodies that love can heal our bodies in lots of subtle ways. So he really believed in this and he devoted a lot of his resources to studying that connection between love, mind and body. Well we only have a couple minutes left in this segment, I had really wanted to talk about some of the evidence you discuss in the book for Sir Johns views. So let me just ask you the one question that I thought would really speak to the audience. You have these amazing statistics in the book regarding how people experience Gods love. For example, 83% of people said they feel Gods love increasing their compassion for others. And that those who feel Gods love more than once a day are twice as likely than the rest of Americans to give their time to help others in need. What does that tell us? Well you know Sir John was always after me to do a national survey. Look, it's awfully hard honestly Greg, you listeners will acknowledge this I think, it's awfully hard to think that you could have a great physics experiment that would suddenly discover this divine love energy underlying all reality. Sir John would say that's probably a century away at best; he was realistic. He wanted to raise the question but he also wanted to wait for science to have a rapprochement with this great mystical idea. But in the meanwhile he said, you can do things, you can ask people have they experienced divine love and what has it done in their lives. So we did a survey, a random scientific survey using John Green who is one of the go to guys you see on MacNeil-Lehrer and all doing religious sociology. It worked with Margaret Poloma and Matt Lee, two great sociologist of religion. And we asked several thousand American's, again a random simple, people 18 and older: Have you experienced divine love and what does that mean. Right, 83% of individuals said at one point or another in their lives they had a deep profound experience of divine love. Now they defined that a little differently but it was very clear. They also said that it was emotionally healing, that when they felt really fragmented, they felt a lot of pain in their lives, this experience could bring them back to wholeness. And they said that it quickened their benevolence, their compassion, it widened their circle of love, not just now the nearest and the dearest, the neediest and all humanity and so it was a beautifully thing. And then there was this subset of people, 43% who said that they had this experience very frequently and another group smaller than that but significant 18% I believe who said they felt this all the time. So you may say that God is dead but if you ask people on the street, out there on Route 80, which is my favorite highway from coast to coast, I am telling you God is alive. They may not be theologians, they may not be hyper cognitive analytic philosophers, but my god they experience divine love and it changes their lives. Let me close this segment with one quote from your book: Beneath our cultures obsession with wealth and power, status and celebrity, millions of Americans are quietly engaged in a deeply religious struggle to wake up from petty selfishness and to embrace a life of benevolence and compassion. We're going to take another break on that particular quote from Greg. When we come back there will be more to chew on as we talk in more depth with Dr. Templeton and Dr. Stephen Post. Hi, we are back now with Dr. Josephine "Pina" Templeton and Dr. Stephen Post. Stephen and Pina I want to talk to you both about Sir John's legacy. Stephen, this book that Sir John entrusted you to write is a big part of his legacy so tell us a little bit about what that meant to you? Loyalty. You know it's hard to imagine love without a little laughter and without a little loyalty. I am pretty strong on loyalty and loyalty is personal. So writing that book was love as an expression of loyalty but it is also the case that I agree with the essence of Sir John's thought world. So it was an effort that went with, rather than against the grain of my own mind and heart and soul. But having the opportunity to contribute this to people in the future who may beyond a little steeper learning curve than what Sir John's biggest question was. I mean they could be wide eyes about this but boy, you know they can look at this book and they can read the letters between us in the back of the appendix and say holy smokes! So I am really smiling and happy and joyful to have been able to make a small contribution. And I am sure he is a very happy and smiling at this point. But from a different position in the universe. Now Pina, the Templeton Prize, for our listeners is the world largest annual award given to an individual honoring a living person who has made an exemplary contribution to affirming lifes spiritual dimension. Its monetary value, currently £1,100,000 STERLING, always exceeds that of the Nobel Prizes, which was Sir John's way of underscoring his belief that advances in the spiritual domain are no less important than those in other areas of human endeavor. So Pina, tell us about how the Templeton Prize continues Sir Johns legacy. It does because he believed in fostering the spiritual realities and to support entrepreneurs of the spirit. Again, if you go back to the beginnings of the prize, when he was thinking about establishing a prize, he felt that there were many that we working almost in seclusion or in a vacuum and were not heard of, either because they did not have the ability or the money to be heard by. And because in his own life he had gone along this trajectory of looking at whom, or trying to understand who God was and how big God was, that he was going to help or wanted to help these people. And at first he established a prize which he called, For Progress in Religion and then it is now known as the Templeton Prize. But really he is looking at young or older individuals who have gone through the same trajectory or similar trajectory from every walk of life. And every religion in the world because he felt that there was many roads to ultimate reality as Stephen has so eloquently put. He at first that the prize would be started once he died. Then he thought about it and would tell so many of his friends, what if I live a long life, there would be so many years that would be wasted. And the way that happened, because he did live a long life, so the prize was instituted in 1972. But he continues to, the prize continues to foster discovery I would say. And that is the hallmark of, if you look at the winners of the Prize, they have done something very different than other individuals. But it always relates to better understanding of what ultimate reality finally is. I would like to ask each of you as we wrap up this entire section and this episode with you today the same question we as all of our guest at the end. And that is, how did Sir John Templeton helped to make the world a better place? So let me start with you Pina. Well, I remember talking with him one evening and I said you know Papa, I think the real endowment that you have given into your foundation, yes, is through your money but that is only a conduit. You have gathered together people of great intellect that want to pursue the mission that you have established for them. And even in the motto of the foundation, you know the motto of the foundation is, How little we know, how eager to learn. But if you look at it closely there is a hidden question there or a hidden statement which says, we are listening. So I think he made a better world because he is listening to everyone that is out there and from there the foundation strives to develop new ideas but to eventually to enlarge and to make ultimate reality, many of us call God, but there are many names to it; and it is that the trajectory that makes it a better world. Stephen, how would you add to that from you point of view? Ive just got two minutes left if you don't mind. Well, you know Sir John could have left his resources for lots of different practical purposes applying to the needs of some particular constituency and so forth. He chose all of humanity, generations and generations henceforth. He wanted to do everything he could to encourage people to grow spiritually. He thought the purpose of life is to grow in spirit, literally in relationship to the divine; to manifest divine love and creativity, to love God and neighbor as self. He was lamenting the loss of this way of life, the people who dismiss it, who trivialize it, who don't understand its deeper meaning and value and contribution to human flourishing. So Sir John wanted to see the recovery of spirituality but with the help of science and with the help of very thoughtful insights of great minds and he was convinced that if we waited long enough we could succeed and see a whole new spiritual universe that was centered on God's love and where people would erupt into wonderful joy and freedom. You couldn't say it better, from both of you. For our listeners, you can find out more about The Templeton Foundation by going to Templeton.org. And you can find out more about Stephens book Is Ultimate Reality Unlimited Love by going to Stephengpost.com. Pina and Stephen, wed like to thank you today for joining us on BetterWorldians Radio. Please everybody join us next week for a special encore Presentation of our show, Three Simple Steps with Trevor Blake. As we end our show, we like to share our BetterWorldians mission. We strive to make the world a better place by focusing on and encouraging the best in everyone. We focus on positive thinking, positive values, and positive actions. We accomplish our vision with a commitment to values, a focus on todays and tomorrows generations, trending technology, and a belief in capitalism as a force of good. In short, our vision is to bring out the BetterWorldian in everybody so we can all make it a better world. Until next time wed like to thank everyone today for listening. Please join us in the future at BetterWorldian Community at BetterWorldlian.com. Until next time, be a BetterWorldian! Thank you again for making the world just a little bit better this week. Please join your hosts Ray, MarySue and Gregory Hansell next Thursday all 11 AM Eastern time, 8 AM Pacific on the Voice America Variety channel. We hope we have inspired you to do one small thing to make a big difference. Join us a BetterWorldians.com to tell us what you have done to change the world. Thanks again for listening to the preceding program brought to you on the Voice America Variety Channel. For more information about our network and to check out additional show hosts and topics of interest please visit voiceamericavariety.com. The Voice America Talk Radio is the worldwide leader in live internet talk radio. Visit voiceamerica.com. The views and ideas expressed on the preceding program are strictly those of the hosts or guest and do not necessarily reflect the view and ideas of the Voice America Talk Radio Network its staff and management.